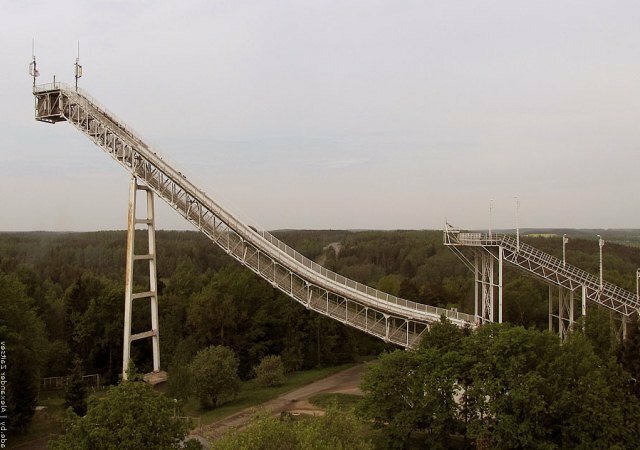 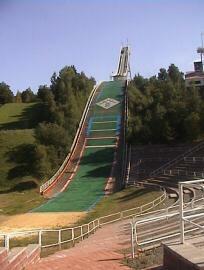 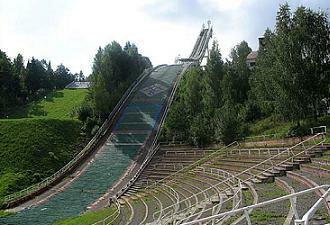 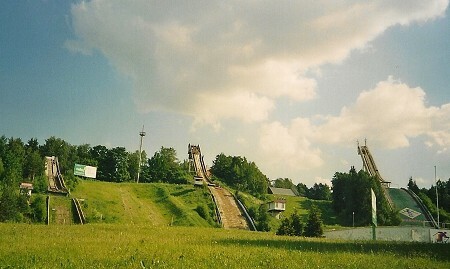 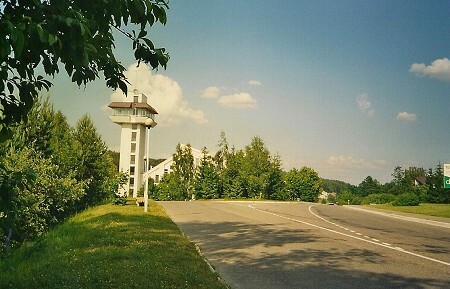 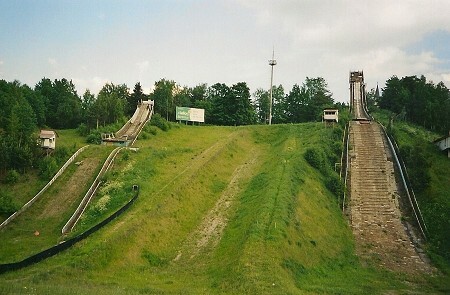 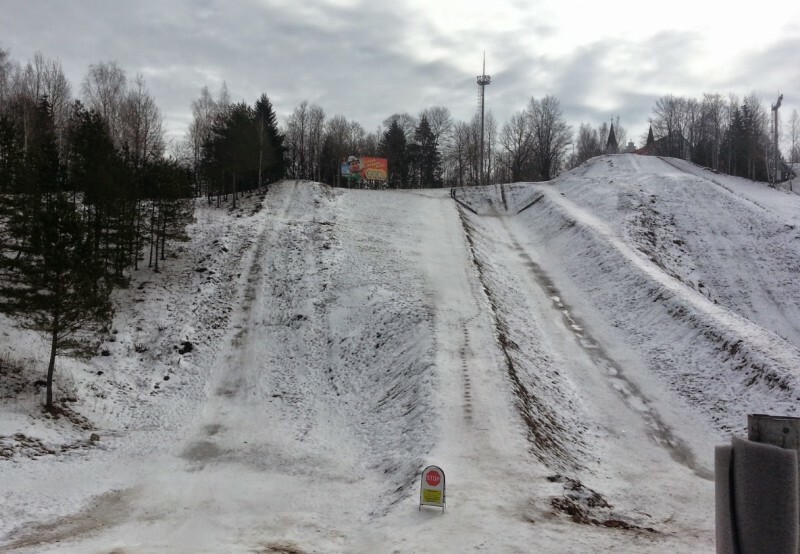 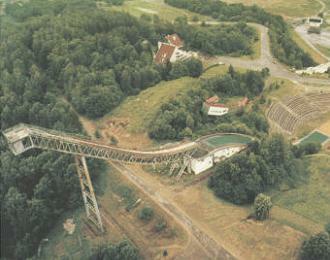 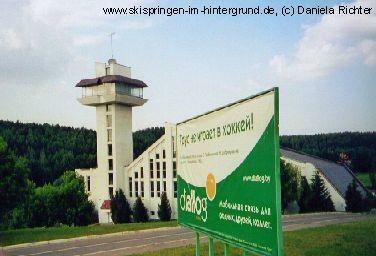 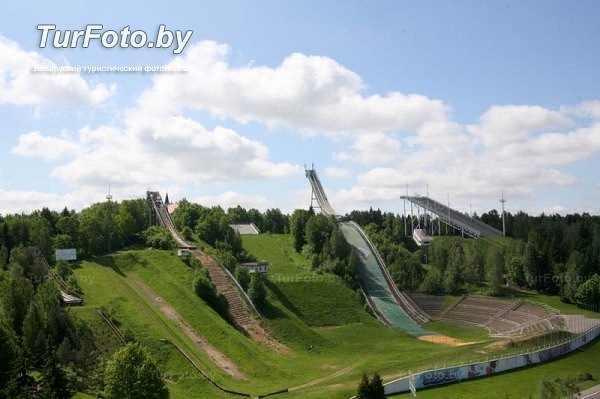 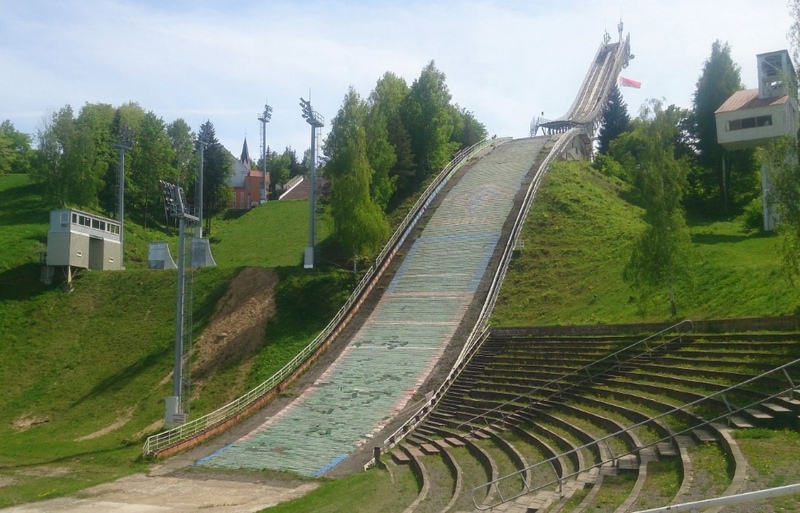 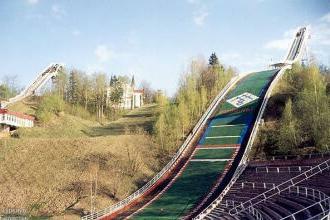 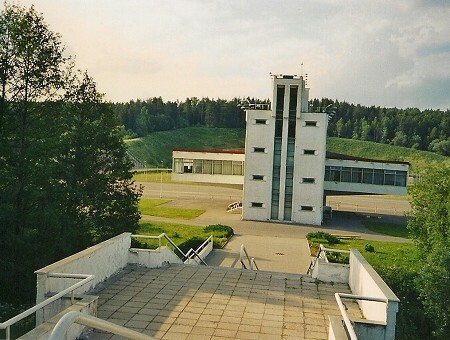 Raubichi is now the only ski jumping centre in Belarus. 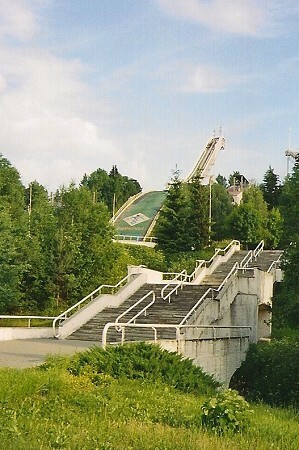 It was opened on 1974-02-24. 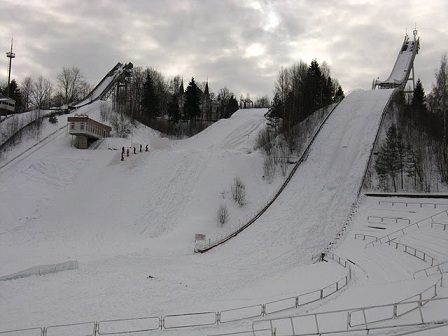 It is about 15 km north of the capitol Minsk and beside the jumpers and Nordic com­bined, also cross-country skiers, speed skaters and biathletes practise there. 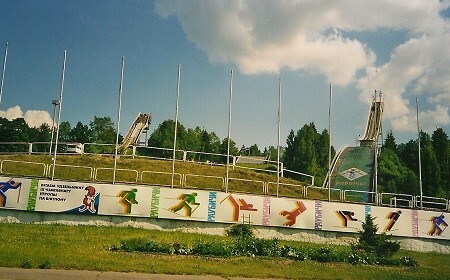 The postal service of Belarus even published a special stamp for the 25th birthday of the sports complex. 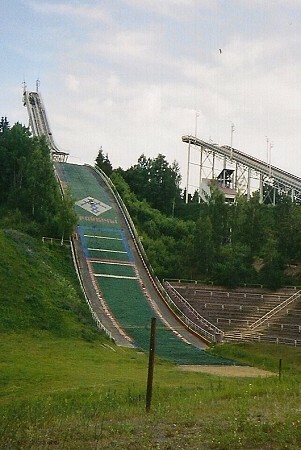 Even a photo of the jumps is printed on a bank note. 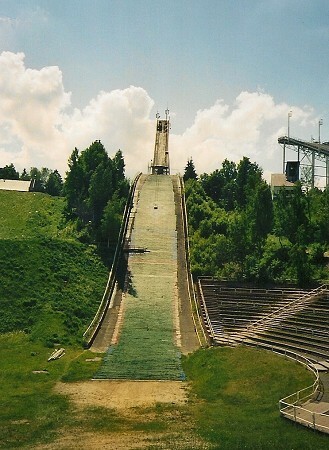 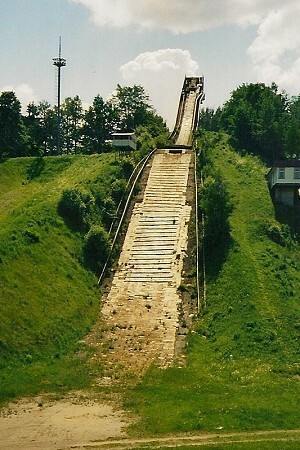 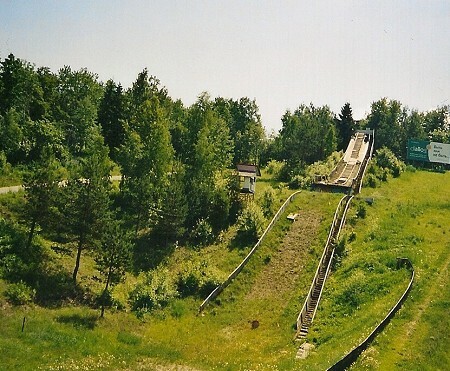 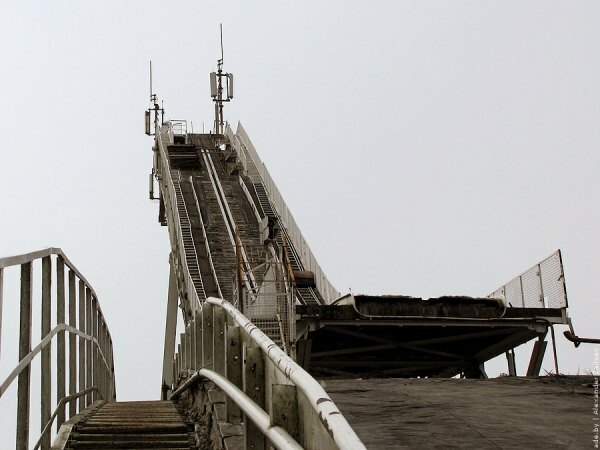 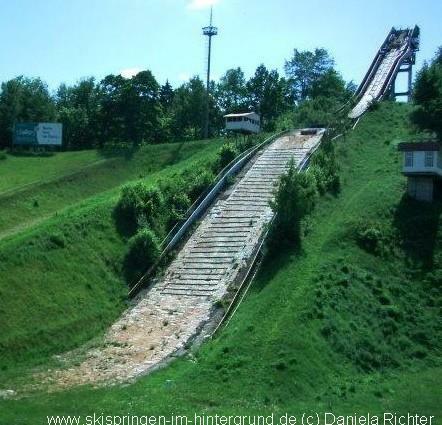 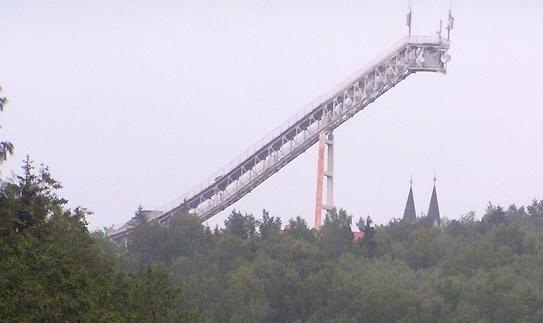 It is plan to tear down K52 and K24 ski jumps in 2012 or 2013, because both of them are in emergency state. 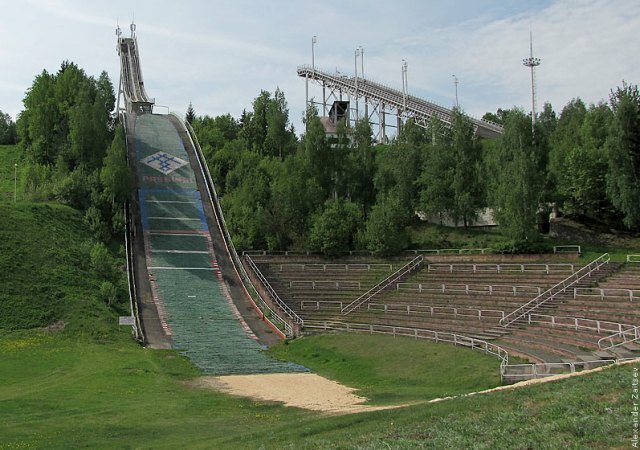 Weitere Schanzen auf dem Gebiet Weißrusslands standen einst in der Krupski Region (K 20 - 30er Jahre), Minsk (drei Schanzen bis K 25 - 60er Jahre), Mogilov (K 20 und K 40, auch 60er Jahre) sowie Witebsk (weißrussisch: Wizebsk) - (K 25 - auch 60er Jahre).